You may know for sure your father and / or grandfather served in the United States military at some point. You may have photos of them in uniform or their discharge papers or the medal they were awarded. 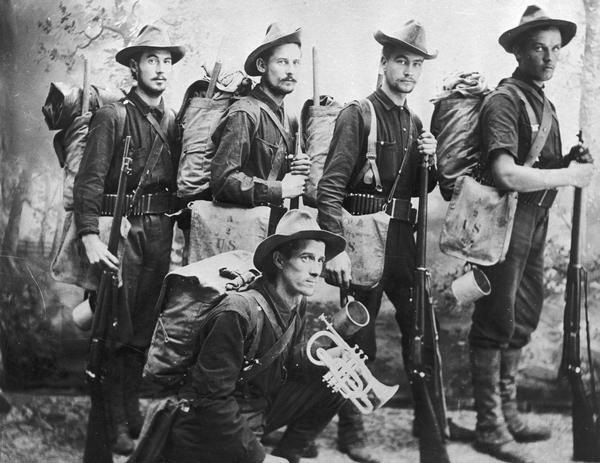 As you go further back in time and generations if does get harder to know if a relative did serve in the military. Here are a few clues to look for. If they were in the 1910 Federal US Census, look at it again. Go to Column 30 and look at the question at the top. There it asks if the person listed was a survivor of the Union or Confederate Army or Navy. The answer might appear as a veteran of the Union Army (UA), Union Navy (UN), Confederate Army (CA), or Confederate Navy (CN). That could be easily overlooked. If the person had passed away before the June 1910 census, it would not be listed. Also check the 1930 U. S. Federal Census. Here are two questions; if they served in the military and in which conflict (war). If you are really lucky, your relative might be on the 1940 U.S. Federal Census’ Supplemental question about military service. 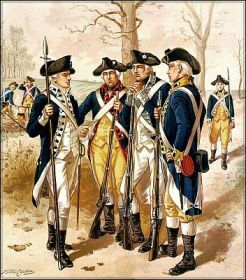 For any service during the American Revolution War of the 1770s into 1780s; there is the U. S. Federal 1840 Census which listed Revolutionary War pensioners by name and age. 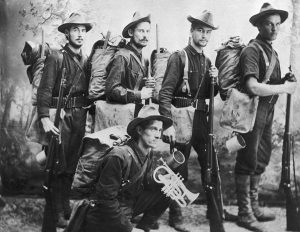 For most any time in the military 1800s through the 20th century, investigate at the hometown or home county courthouse for records on a veteran who was discharged and lived in the town / county. Keep trying, there are resources. 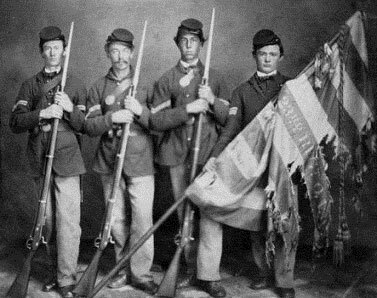 Photos: Soldiers from Wisconsin during the 1890s Spanish-American War; 1860s — 23rd Ohio Volunteer Infantry Color Guard; and Continental Army Infantry soldiers of 1770s.